Local artist/makers are offering a wonderful opportunity for children of all ages to make their own presents, gift bags and cards Saturday, November 29, from 2:15 pm to 4:15 pm at the Harbourfront Library. There will also be carols, storytelling and goodies. Both the supplies and the expertise are free. The event is a collaboration between the Nanaimo Arts Council, Mid Island Metis Nation, Swap-o-Rama-Rama, AEIOU, the Nanaimo Recycling Exchange and the Vancouver Island Regional Library. 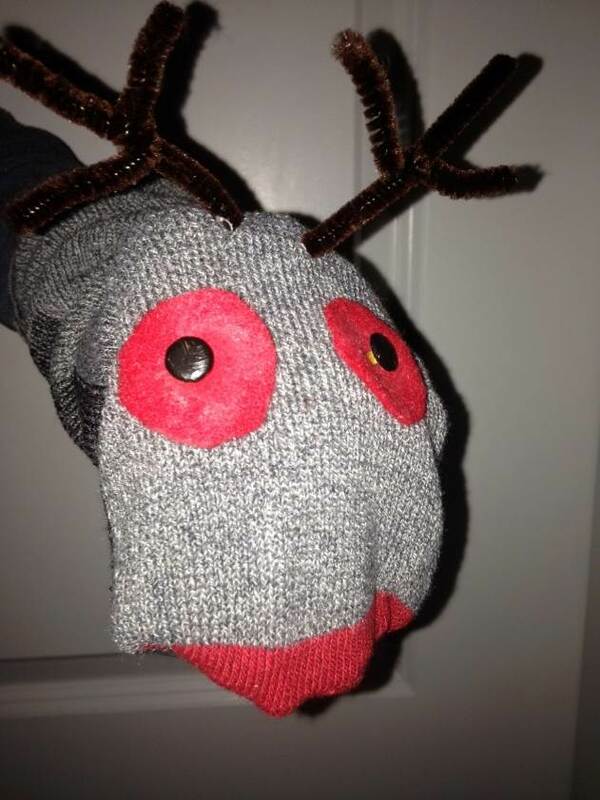 Children can choose from activities such as making and decorating sock puppets, bookmarks, t-shirt bags, braided headbands, Hudson Bay blanket gift bags, paper gift bags, jointed paper figures, cards and whatever their imaginations come up with! Feel free to bring things such as old Christmas cards and paper and items that can be used to decorate with such as lace, ribbon, stickers, fabric, art supplies, and glue – use your imagination! Items can also be dropped off at the Nanaimo Arts Council Gallery in Nanaimo North Town Centre before 4:00 pm on Friday, November 28. If you are interested in helping out or would like more information, call the Gallery at 250-729-3947 or emailadmin@nanaimoartscouncil.ca. 2. Candidate Presentations: Fred Patje and Ian Thorpe attended to inform us regarding their candidacy for Nanaimo City Council. Mr. Patje expressed his thanks for SECA’s support over the last 6 years, particularly as regards the implementation of Neighbourhood Plans, which he continues to strongly support. 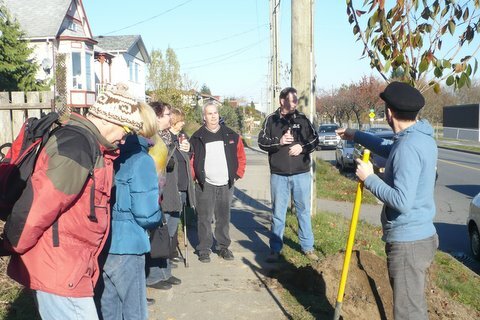 He pointed out the successful work of SECA in facilitating neighbourhood improvements and its’ standing as an example in the Community at large. He also expressly thanked our Chair, Douglas Hardie and Vice­Chair Chris LoScerbo for their work on the Waterfront Committee initiative. He then introduced Ian Thorpe, fellow Candidate, and backgrounded us on his community work and teaching history at J. Barsby Secondary. He emphasized his work ethic and collegial, co­operative approach when serving on committees. Mr. Thorpe then spoke, indicating his appreciation of South End residents and initiatives. He elaborated on his 10 years at Barsby and his extra­curricular work, his Committee work with Mr. Patje, and his desire to serve the residents of Nanaimo. 3. RCMP/John Howard Society: Constable D. LaBerg informed us on the goals of the Restorative Justice Program being implemented by the John Howard Society. He introduced Kim Fagerlund, Program Co­ordinator and her client. Her client had been apprehended selling marijuana and, instead of cycling through the court system, he was given the opportunity to make reparation directly. To do this, he is attending this meeting and has donated $300 to SECA. He also spoke to us, assuring us that, while he sells marijuana to adults in an adult setting, he does not sell to teenagers or children; that he is not violent, and does not steal or pose any other threat to residents. Constable LaBerg confirmed this. The individual was thanked for attending/donating and explaining his personal situation to us. Chair, D. Hardie also thanked Constable LaBerg and the John Howard Society for their work on this initiative. 4. 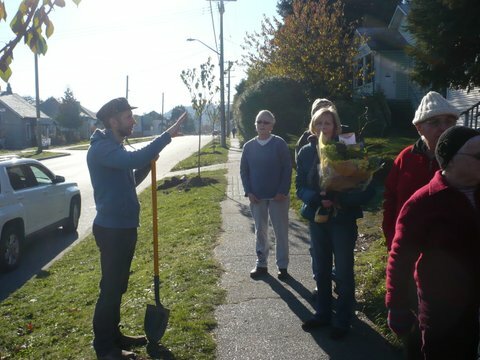 Tree Planting: Alan Kemp, City Engineering Department, attended to let us know that BC Hydro has again supplied funds for South End beautification. 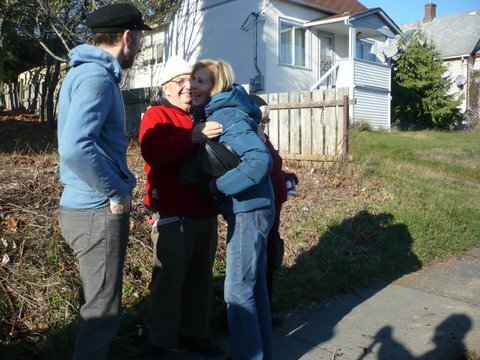 They have provided $6,000 to purchase, plant and sustain 40 new trees to be planted along Haliburton Street. 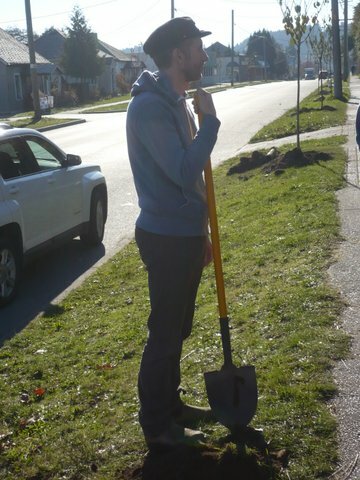 Mr. Kemp requested volunteers to begin planting them, with the assistance of City Works. City Works staff will take responsibility for watering and ongoing care of the trees. Several present volunteered to help plant; others volunteered to attend to provide refreshment. They will meet on Saturday, November 8 at 9 a.m. at “R U Computing” to begin work on the project. The event will be photographed for local media. 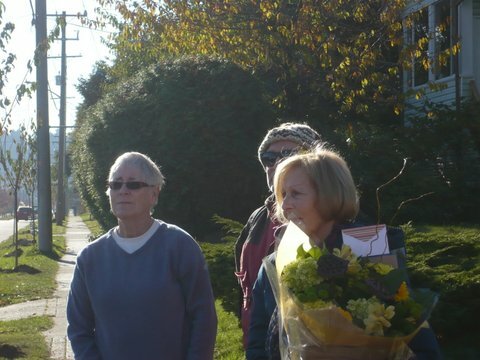 Mr. Kemp was thanked for his past and present work to make this neighbourhood improvement possible. 5. School Trustees All Candidates Meetings: Ed Chan informed the group of the all­ candidates meetings he has worked to implement. The meetings will be held at J. Barsby on Thursday and Friday, November 13 and 14 from 6:30­ 9:00. At these sessions, candidates for School Trustee will present their qualifications and vision for administrating the $135 million annual budget for School District 68. He was thanked for his work on this initiative. Details will be posted on our Blog to inform the Neighbourhood of this opportunity to vet candidates. 6. RCMP Report: Constable LaBerg informed us that RCMP efforts over the last couple of months have been focused on dealing with car thefts, marina break­-ins, robberies and home invasions. As a result of this focus, many perpetrators have been apprehended. Drug issues have recently been less of a focus, however, designated nuisance properties on Haliburton and View Streets have been targeted and landlords have co­operated in removing drug ­dealing renters. Improvement has been noted. Some expressed concern that the presence of more Sharps Boxes would reflect negatively on the areas where they were placed and would encourage more drug use there. Others pointed out the dangers of discarded needles and spoke to the fact that diabetics and others requiring sharps use for medical reasons also dispose of used needles in the boxes. The upcoming changes in prostitution laws were also brought up and the question raised as to how these changes might affect drug and other social issues. Constable LaBerg cited his many years of experience around the needle issue and stated that the boxes, present throughout the City, do not intrude visually as many boxes are not even noticed by those who do not actually use them. In his experience, they do not encourage drug use and do increase safety for all. He spoke regarding the recent meeting at the Conference Centre in which representatives from VIHA, NARSF, the RCMP, local business owners, residents and Street people gathered to discuss the situations and safety issues faced by all stake-­holders. The exchange of information, particularly as regards the coming de­-criminalization of prostitution and the on-going concerns around street-drugs such as Meth and Heroin was beneficial and provided a constructive dialog around these issues. Chair, D. Hardie, spoke in support of Constable LaBerg’s experience and expertise in this area and cited his initiatives with local business in the area of the 7-­11 and McDonald’s; educating these businesses as to how to deal with problem people. He thanked the Constable for his on­going work, assisting local neighbourhoods in dealing with these issues. Picnic Account – Present balance is $2,208.48. With the addition of the $300 donation through the Restorative Justice program, the balance will be $3,108.48. 8. Gung Haggis Fat Choy Fundraiser: The 2nd Annual fundraiser will be held at the old Caprice Theatre, Nicol Street, on Saturday January 24. Tickets to the event will be available at our next meeting for Members to sell. The cost of $15 will cover admission, entertainment and dinner. A cash bar will be provided with proceeds to SECA. Volunteers are needed for set­up, clean­up and food. Some volunteers have already stepped forward for Music – Mike’s DJ, MC – C. LoScerbo, Toasts to the Bard – K. Hazel, the Lassies – L. Gambone and the Laddies – P. Portsmouth. Petra will organize dessert volunteers, Lisa Martin will organize clean­up. We await confirmation from the Piper. Triple T catering has quoted a cost of $245 to cover dishes, cutlery, tables, etc. Provided we pick up and return them ourselves. Additional tables are also needed. Volunteers should contact S. Larocque. Paula Beltgens informed that she will record a segment at the Event for our Happy Video. The video will be edited for release in February around Valentine’s Day. Sandra also reminded the group to continue to save and turn in their Country Grocer receipts, as the credits already supplied through this program were sufficient to provide the refreshments served at last weeks’ successful Halloween Event. identify possible locations; eg. The Vast building, Loaves and Fishes building, 5 Acres, etc. Determine what functions volunteers and/or paid staff could provide in running the facility. Motion made by S. Larocque: “to form a working Committee to explore the funding and location of a permanent facility for use by South End residents and SECA”. Sandra Laroque will take the names of any who wish to volunteer to participate as members of the working groups within the Committee. She noted that Paula Beltgens and Sydney Robertson have experience and connections in the fundraising and real estate components of this initiative and stand ready to provide contacts and assistance in these areas. The Committee would report back to the group as the process evolved. 10. Constitution: Chair, D.Hardie, updated us on progress around needed Constitution Revisions. It had been hoped that suggested revisions to clarify our Mandate, Mission Statement, Procedures, etc. would be presented at tonight’s meeting. He indicated that there is no time constraint causing urgency for this process and that our goal is to ‘do it right’ to ensure that revisions effectively provide clarity in the purview and conduct of the Association. Support was expressed for taking the needed time to execute draft revisions. 11. AGM: The December General Meeting is the Annual General Meeting at which the Officers and Executive Members of the Association are elected. The meeting starts at 6:00 pm with a pot­luck and social time. The nomination and election process will be fielded by Leonard Krog, our area MP. 12. Halloween Block Party: This event was a great success. About 100 people participatedthroughout the evening. Activites included a Fire Dancer, Street Hockey and the recording of a Happy Video segment. Donations for SECA were accepted at the refreshment area. In view of it’s success, the possibility of continuing/expanding this event was brought forward. 13. Caroling: Willow Friday, proprietor of Iron Oxide Art Supplies on Nicol Street, has agreed to provide her outdoor patio area for our Carolers this year. Volunteer Carolers will meet at 7pm on Wednesday, December 17 at Iron Oxide to sing and provide encouragement to passers­by to sing along. Our sign: ‘Sing Here on Wednesday’ will be displayed in the week previous. 14. Jill Stannard: Jill has been invited to attend the AGM as our Guest of Honour. 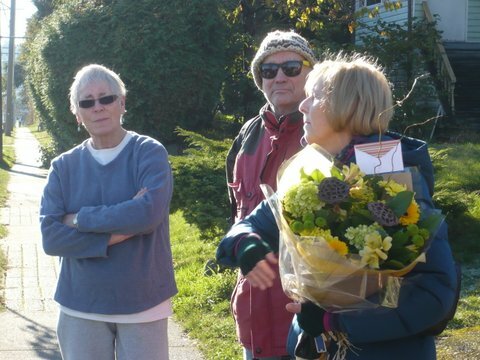 She will be honoured at the meeting with a “Friend of the Neighbourhood” citation in recognition of her many years of voluteerism in support of SECA. 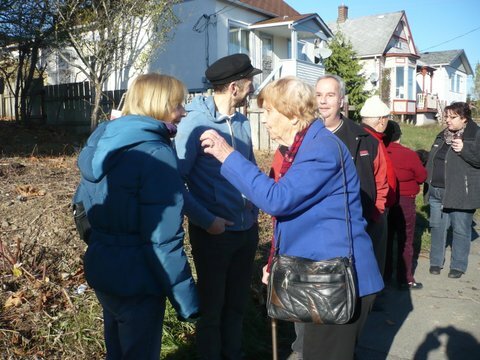 Notably her role as historian and guide of the ‘History Walking Tour’ given at the Miner’s Heritage Picnic. In addition to the citation, she will be presented with a SECA apron. 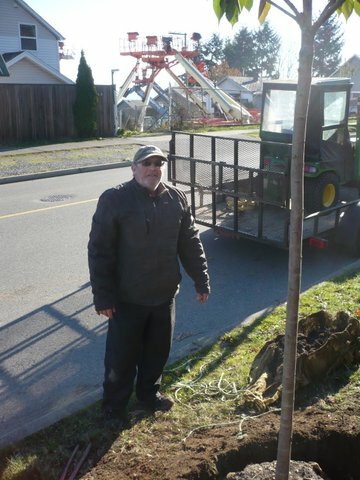 On Saturday, November 15th, 2014, friends and neighbours of past SECA treasurer, Peter Presotto, planted a tree in his memory on Haliburton Street. Peter’s wife, Vilma expressed her appreciation and spoke in remembrance of the importance of this community in the life of Peter.